Back in April we hosted a giveaway for one of you lucky readers to receive a Rio 2 prize pack. Now that the hit sequel will be released soon on DVD and Blu-ray, we're hosting another giveaway for one lucky reader to win the movie on blu-ray. The biggest party of the summer is officially on its way! Twentieth Century Fox Home Entertainment takes you deep into the Brazilian Amazon Rainforest for the most fun you’ll have all summer, as RIO 2 debuts on 3D Blu-ray, Blu-ray and DVD July 15.The RIO 2 Blu-rayTM and DVD brings everything you loved from the first Rio, but with even more laughs, excitement and music! Not only will kids get nearly an hour and a half of bonus features on the RIO 2 Blu-rayTM, but they’ll also get their groove on with two downloadable bonus songs from the RIO 2 soundtrack: “I Will Survive” and “Poisonous Love,” both performed by Gabi (Kristin Chenoweth) and Nigel (Jemaine Clement). For even more fun, every Blu-rayTM comes with 15 exclusive levels for Angry Birds RioTM and Music Machine Sing-Along and Dance-Along songs for a whole family party! There’s also Janelle Monáe’s “What is Love” lyric video, a deleted scene, character auditions and much more! Not only is the music in Rio 2 catchy and fun, it also teaches some wonderful messages! To prepare you for this awesome film, and soundtrack, we have prepared a list of the best lessons that some of the songs can teach us! 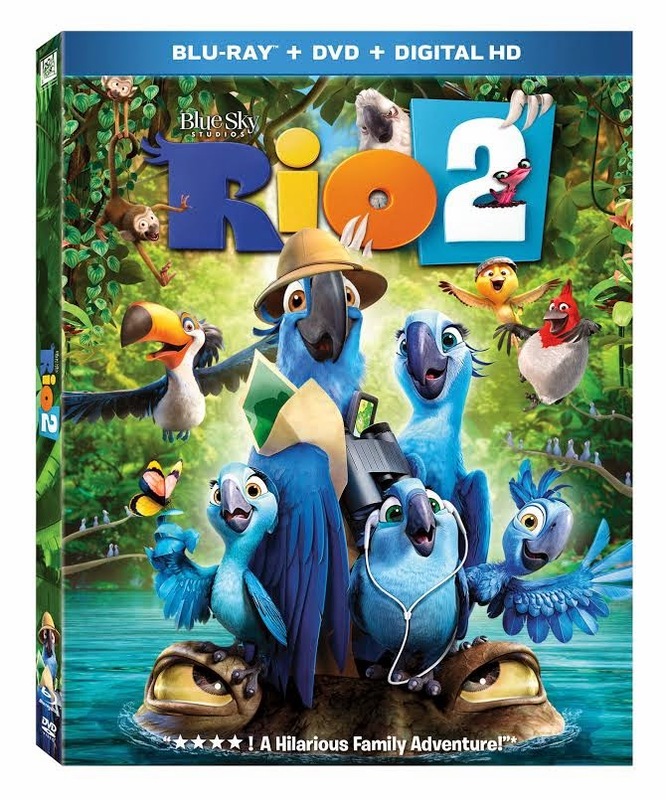 Be sure to enter our giveaway below for a chance at winning this, fun for the whole family, movie and in the mean time to get your kiddos ready for Rio 2 coming to DVD and Blu-ray be sure to check out these free activities you can print for your kids to enjoy!